Polished wooden puzzle experience for toddlers! Large puzzle pieces, jungle animals, and vibrant colours make it perfect for toddlers. There are three difficulty levels and a world map that can be filled with wild animals. Puzzle activities are carried out with an encouraging and rewarding manner. 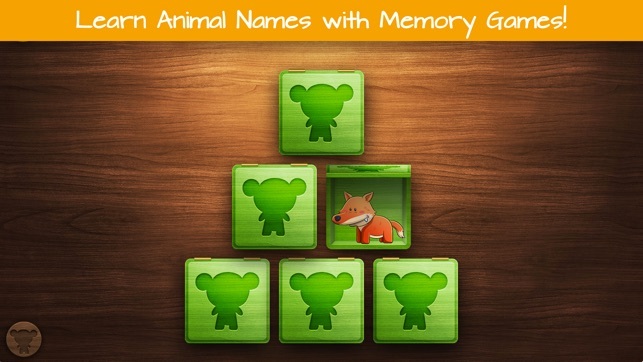 Kids earn an animal as a reward every time they complete a puzzle. There are 60 different wild animals to be earned. 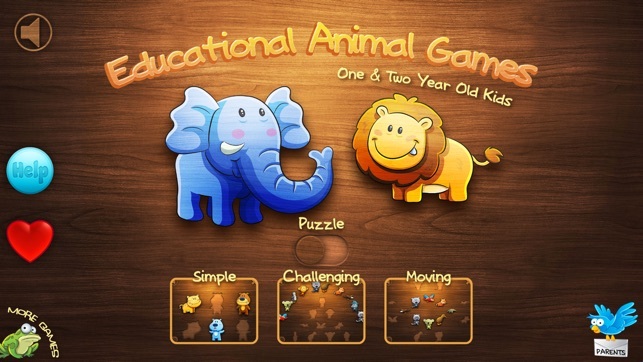 Educational Animal Games is designed from the ground up for toddlers and small kids! 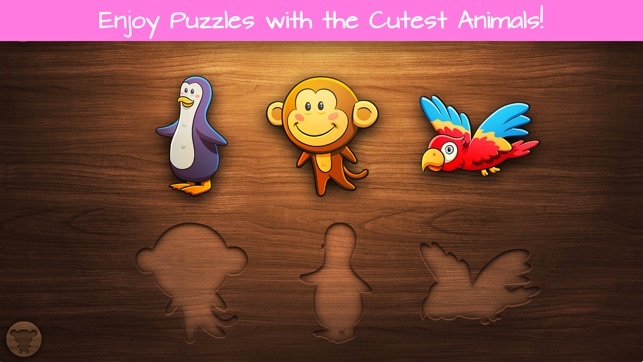 - Beautiful wooden animal puzzles! - Educational - Learn names of 60 common wild animals! 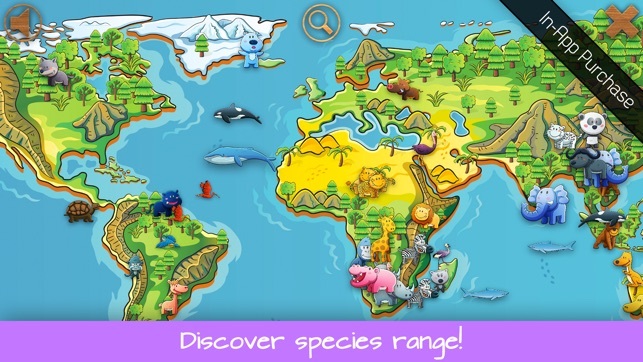 - World map with wild animals! 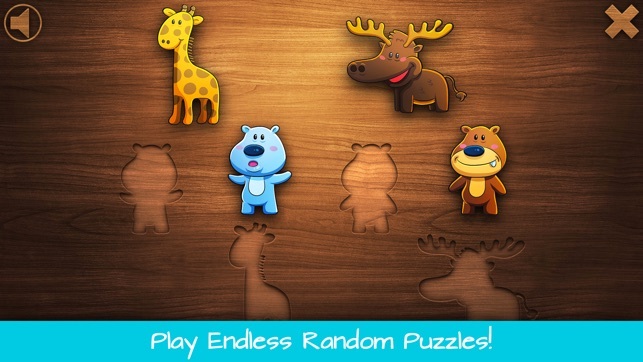 - Endless amount of puzzles! - Perfect for one,two, and three year old kids! 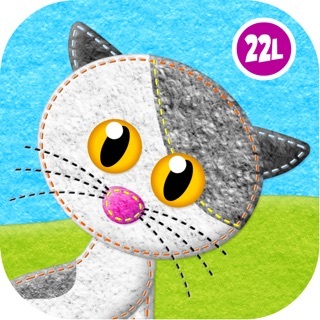 - Educational Animal Games is free to try and contains two In-App-Purchases! My son loves this app!!! My 2yr old daughter has enjoyed the free version of this game for nearly a year before I bought two extensions ("more animals" was the second one). It was beautiful, simple, and elegant. She's a little ahead on these types of things so I didn't buy the extensions at first because I was afraid she would tire of it quickly in favor of other more increasingly challenging games. But the beautiful animal designs and the numerous bubbles to pop kept her coming back to it for fun every few weeks or so...so I decided to buy the extensions, especially at $1.99 each, and also with the lure that the "maps" that the first extension promised would further entice her as she advanced cognitively. However, I am disappointed by what the purchases gained me. There are no maps games/puzzles that I could find. And, the "challenging" and "moving" additions really aren't that challenging, even for her only being 2 years old. I am convinced she would have been just as content to continue playing as is without the additions I purchased. I do not believe it was worth the extra $4 (rounded up of course). However, that said, the free version itself would've been worth a good dollar or two for her simple pleasant joy arranging the pretty animals into their designated indentations as a soothing break from her other more challenging games/apps.